We are pleased to publish the latest stylish apartments for central Florence with our new Partner in the area. 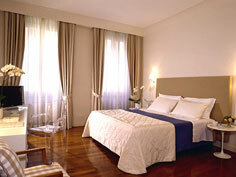 You will find all three apartments in the same building, just 3 minutes from the Duomo in downtown Florence. From romance to family gatherings, these smart apartments host all comfortably. The apartments have clean lines and impeccable, stylish furniture with a few family antiques thrown in. They are all fitted out with WIFI internet and contain all modern conveniences. Apartment guests will also benefit from privileged deals on breakfasting in the local bars. Find out more detail on these suites: Standard, Deluxe and Superior.